I'm linking up with Farley for my March Currently! Seriously, ummmm where did February go?!?! Listening: So I've mentioned this before, but I'm pretty much addicted to the Hallmark Channel! 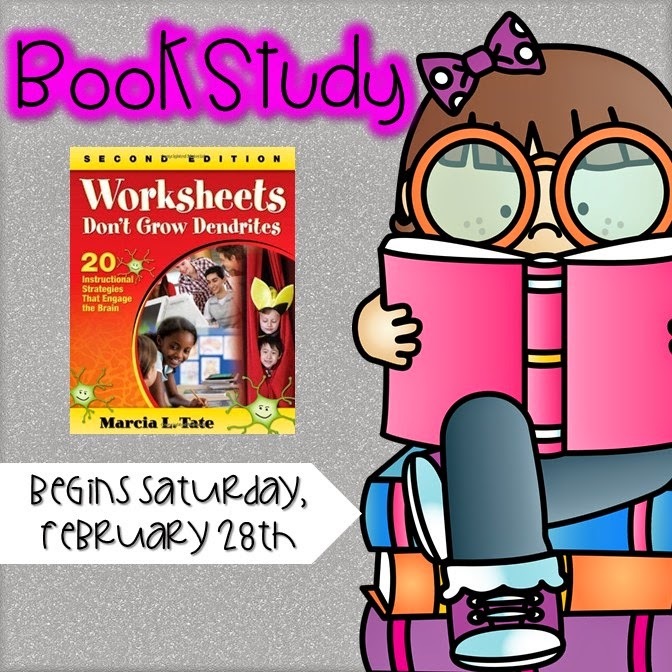 Loving: The Worksheets Don't Grow Dendrites book study is so amazing and we have only had one link-up!! I love reading what other teachers have to say! Amazing collaboration! Click the image below to join the FUN! Thinking: Once Upon a Time comes back on tonight! Any other Once Upon a Time fans out there?? Wanting: Yep, still have Valentine's Day and winter decorations out. I think my spring decorations are screaming at me to come out!! 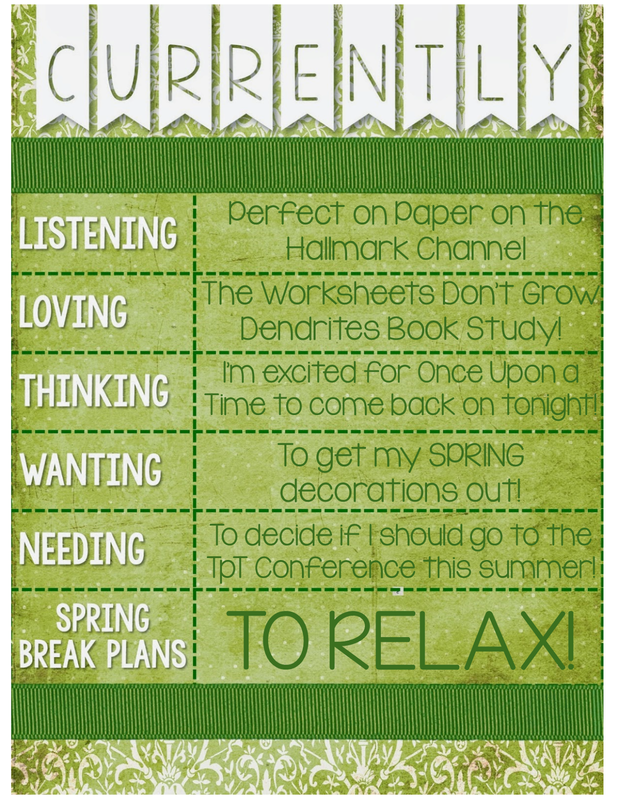 Needing: Really need to decide about the TpT conference for this summer!! Hubby and I are thinking of making it a vacation and me doing the conference for the two days. Ahhhhh I need to decide soon!! Spring Break Plans: TO RELAX!!!!!!!!! Join the Currently fun!